You can never have too many furry things. I'm a right snuggle bug you see. I spend most evenings sat under a fluffy blanket nestling into the sofa. Larrrveeely. Needless to say, this jacket is so, so me! This isn't just fluffy on the outside... OH NO. The inside is fleecy too! All too dreamy. 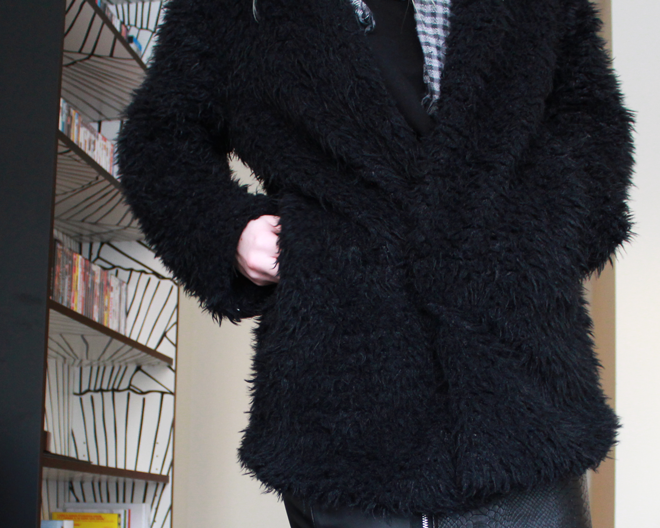 I've been wearing it (non-stop) instead of wrestling on a big old coat - it's incredibly warm and cosy. Such a perfect buy for this time of year! 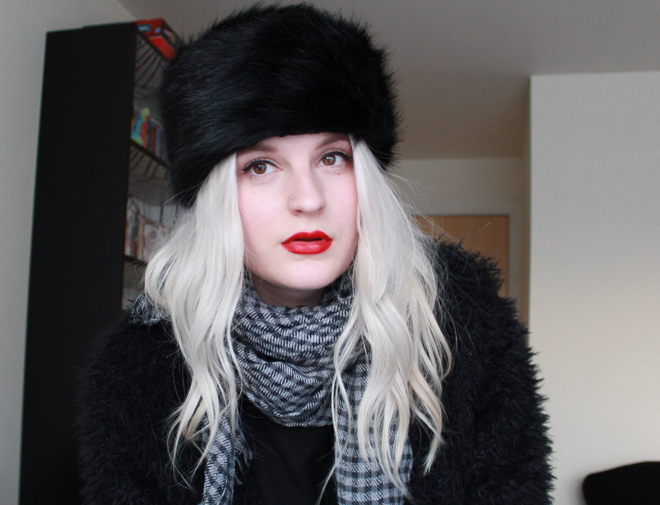 I also picked up this Cossack hat from New Look today - it's the cheapest one I've seen around the high street. Now I've got no excuse to complain I'm cold with these new furry buddies of mine. I'm sat here now in the evening whilst I'm writing this still donning the hat and coat... see - I really am wearing these non-stop! 1) I love the hat! Ooo such a cosy outfit! I love everything, especially the hat. Ah love the fur and that skirt is beautiful!! Fleecy on the inside too? Wahhhh! You look so cosy. Wannnt!